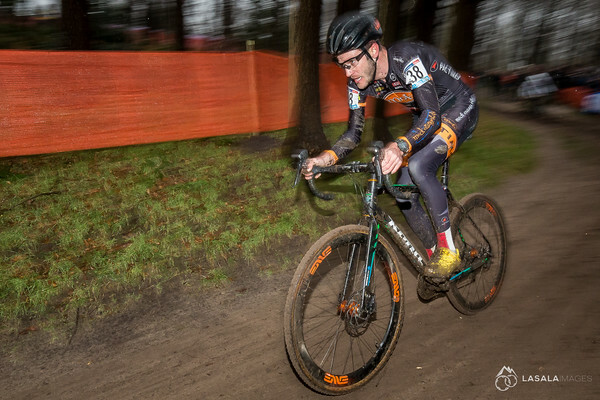 Overnight rains followed by 3 earlier races made the course heavy with mud and made previously rideable sections a run. 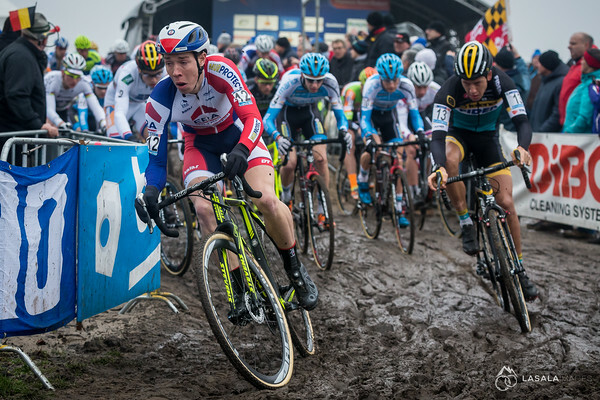 The crowd was large and the racing was amazing. 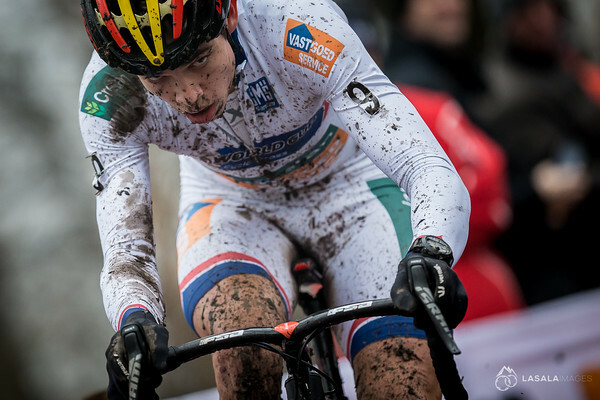 Take a look at the images to see how the men's race unfolded. 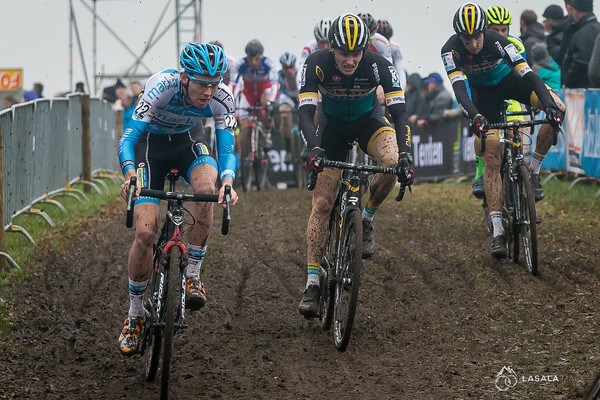 Young gun Laurens Sweeck grabbed the holeshot followed by Tom Meeusen and Michael Vanthourenhout. 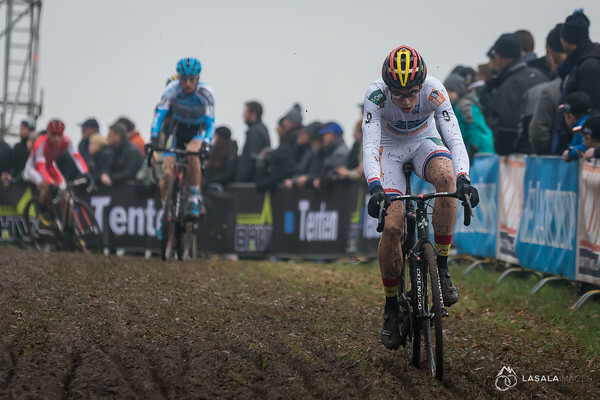 Gianni Vermeersch led Mathieu van der Poel and Laurens Sweeck early on lap one. 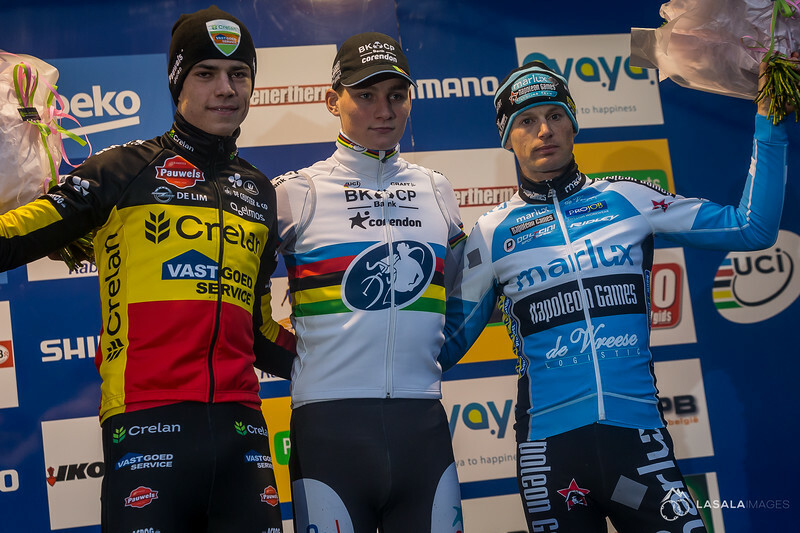 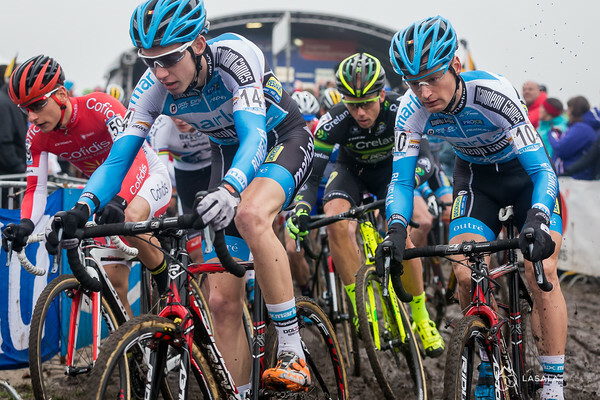 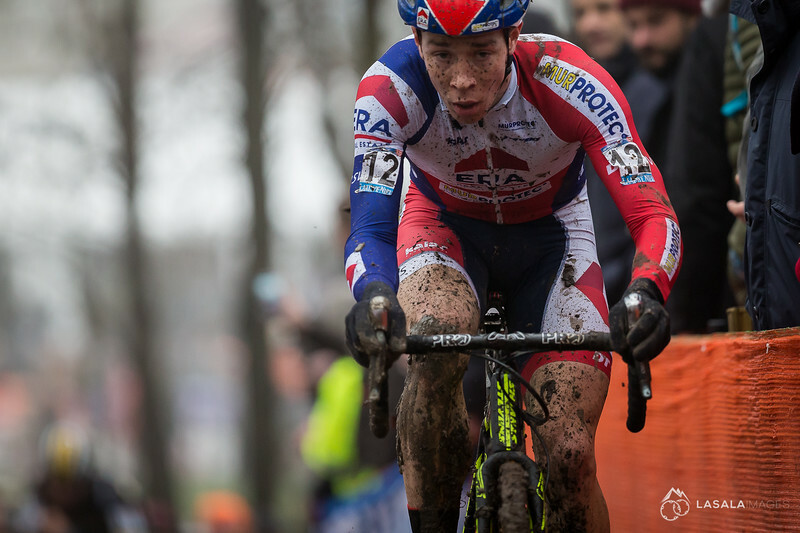 The usual cyclo-cross heads-of-state were at the head of the race. 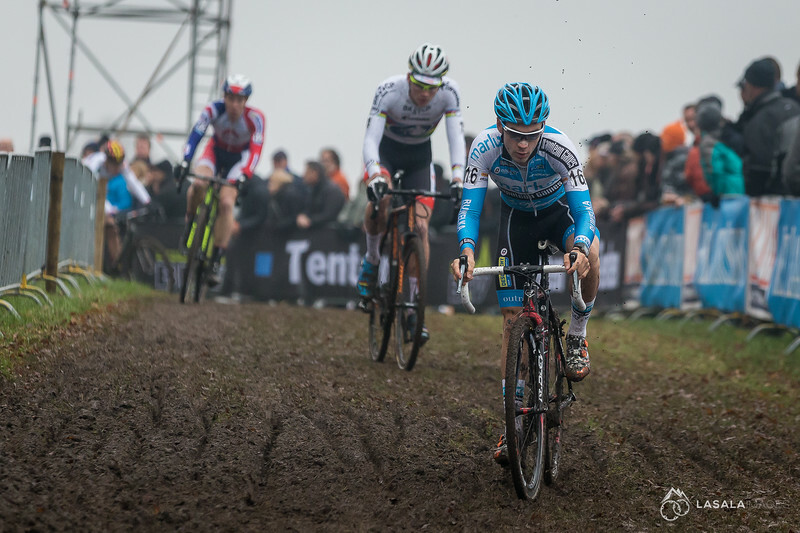 Mathieu van der Poel used a bit of tripoding to keep upright on a very fast rutted right hand turn. 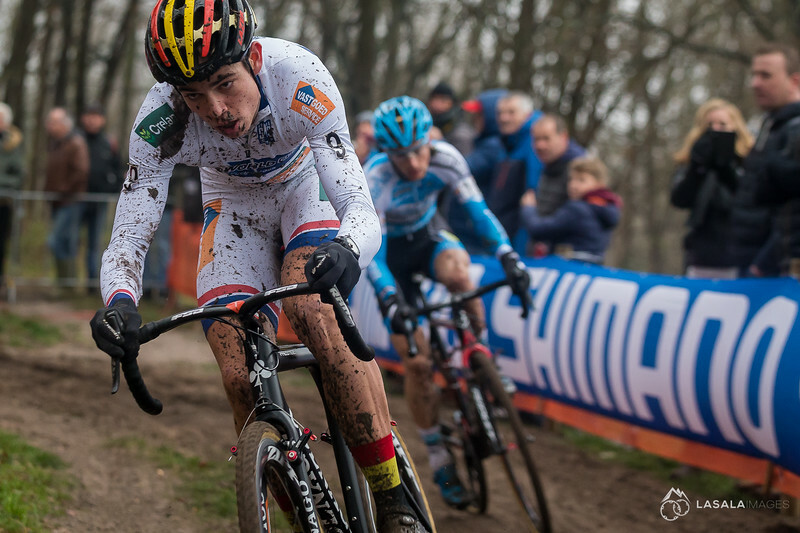 Wout van Aert and Kevin Pauwels went into chase mode as Mathieu van der Poel began to stretch his lead. 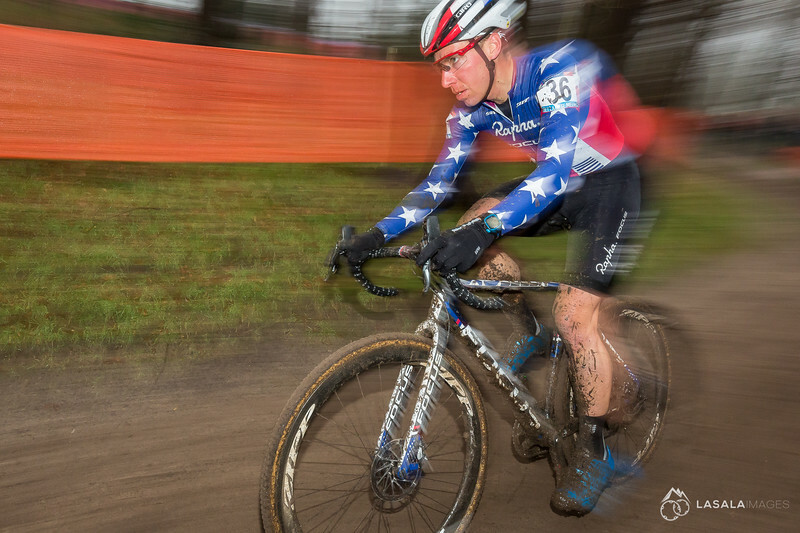 5 Americans raced this very difficult final World Cup race. 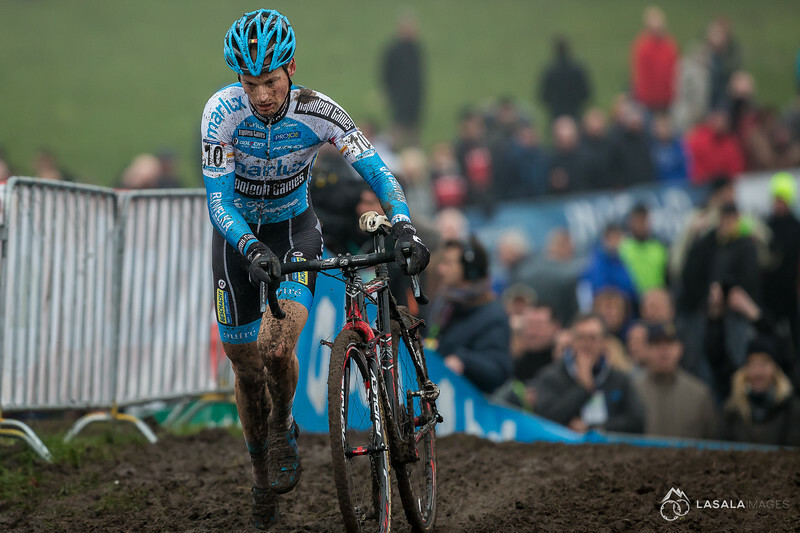 Lars van der Haar had a slower than usual start but made his way through the field to eventually finish 7th. 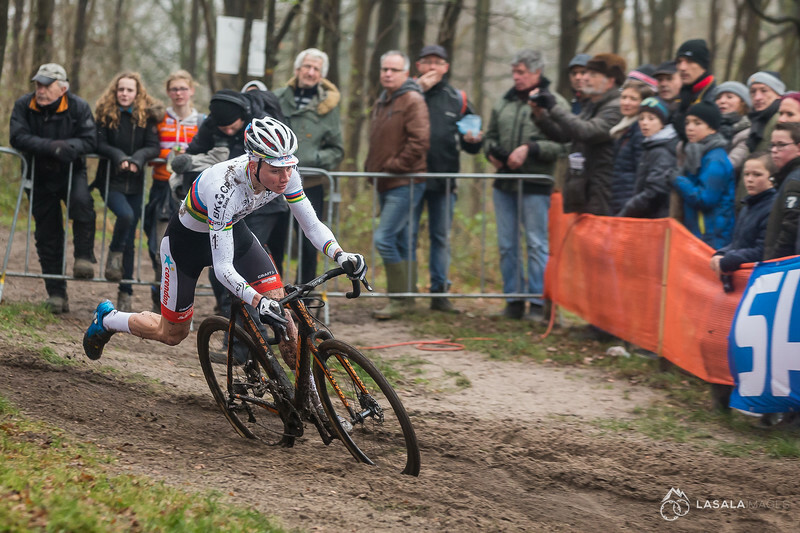 Mathieu van der Poel rode this greasy off-camber section faster than most. 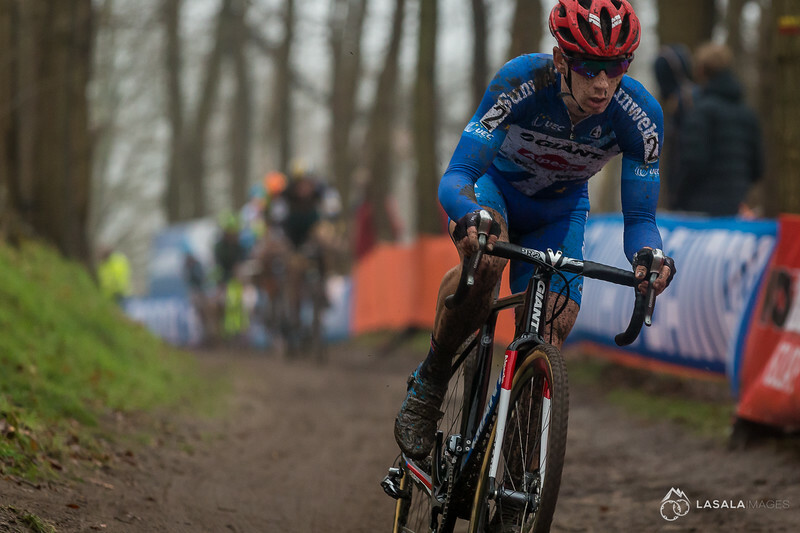 Every lap Mathieu van der Poel extended his lead over Wout van Aert with skillfull riding. 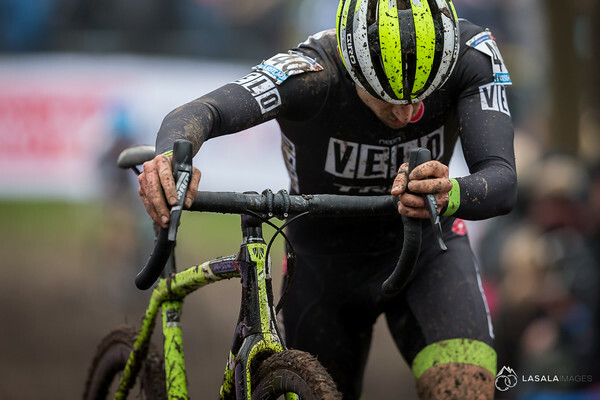 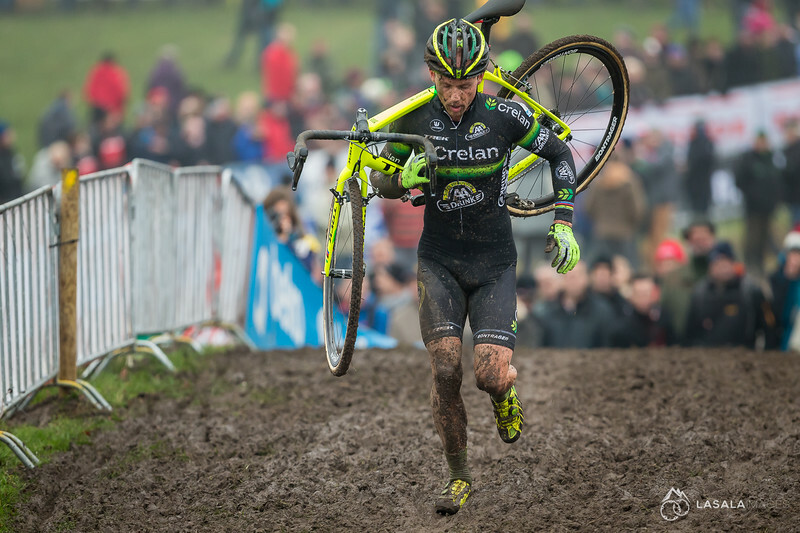 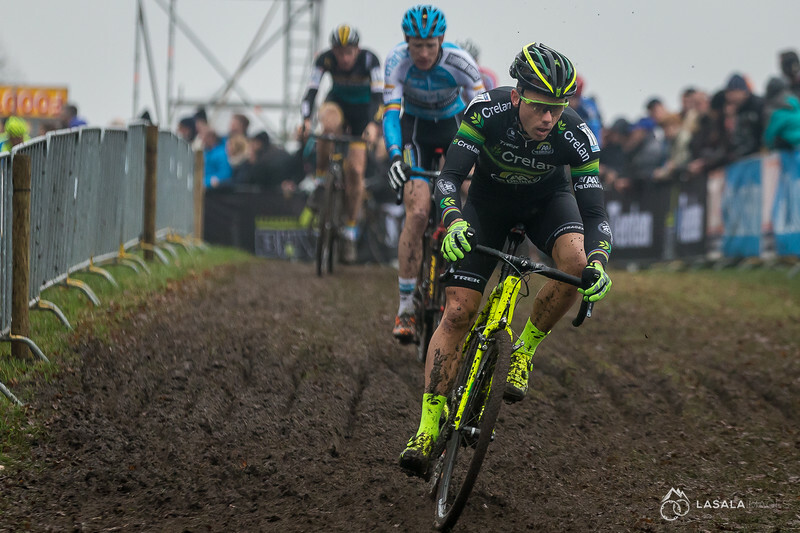 Today cyclo-cross legend Sven Nys rode his final cyclo-cross World Cup race with his usual strength, finesse and style. 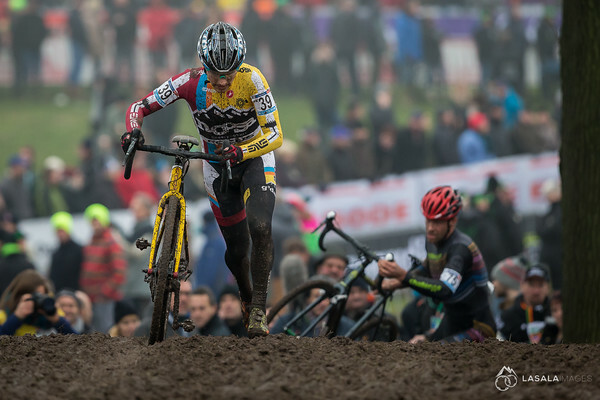 Kevin Pauwels rode strong and finished on the podium in 3rd place. 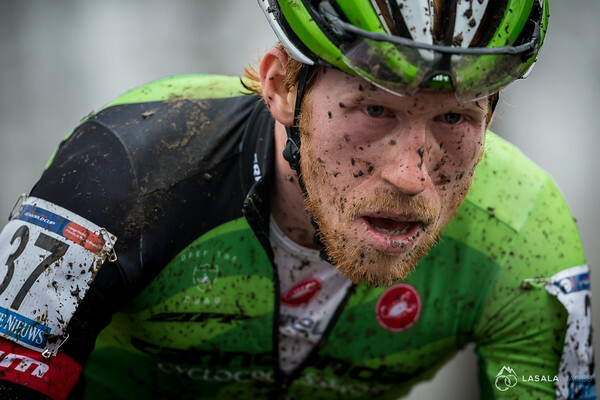 Laurens Sweeck would finish just off the podium in 4th. 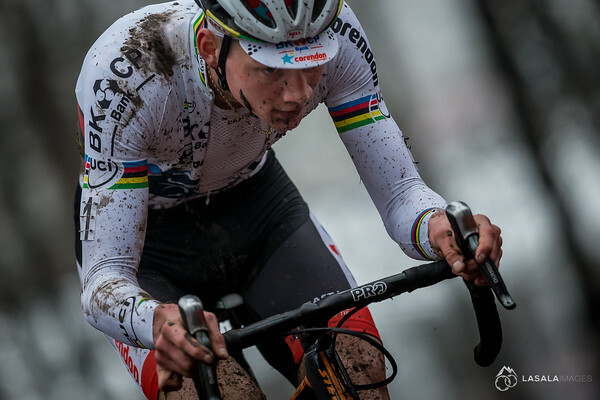 Mathieu van der Poel wins the final UCI World Cup race with a commanding lead over his rivals.